Kevin entered both the 2016 and 2017 event we look forward to having him join us for 2018! Kevin Blanton review of Conquer the Wall Marathon: RUN CONQUER THE WALL ADVENTURE MARATHON if you want to challenge yourself, If you desire to see just how strong you are, if you want to take on an adventure run in a land far away, if you like travel racing, if you like to do marathons and want something more than just the flat run, if you like to do endurance Trail racing, if you just have a bunch of friends and want to go to China and do more than sightseeing, or if you just want to see 26 miles of the Great Wall of China in 1 quick trip then I recommend you sign up for and attempt the Conquer the Wall Marathon. This isn’t your run-of-the-mill marathon. This marathon is very difficult. There is an estimated 10000 ft of elevation gain during the 26.2 miles on and off the wall. Unlike other Great Wall marathons, this adventure marathon is run entirely on the Great Wall or immediately adjacent to it on the same Terrain. They estimate there are 20518 countable steps during the course of the race. To make matters a little more difficult these steps are not even. Some may be four inches some may be 21″. Some areas may be the incline of a stairwell with no steps at all – just smooth, slick, brick. There may be some areas that are rubble and some areas that are ruins. You will find some areas that are single track and some areas that are 10 to 15 ft wide. I feel confident in saying there is no area on the entire course that is truly flat, you will always be ascending or descending. Therefore, if you are the kind of Runner who prefers nice paved roads with gradual ascents and descents on Rolling Hills, do not come to this race. Similarly, if you cannot accept more than 4 hours for completion of a marathon distance, do not run this race. On the other hand, if you’re a trail racer, endurance Runner, obstacle course race athlete or just want to challenge yourself and see what you’re made of then come and do this race. You will learn your limitations. For 3 years now I have been building up my athleticism. I have competed in the obstacle course racing World Championships for three years. I have run several Road and Trail marathon length races. While I continue to struggle to run, I tend to place within my age group. In 2016 I was looking for a new challenge. Something to motivate me to push myself and to train harder. And I found Conquer the Wall Marathon. I trained. I pushed myself. I got better. And then I showed up for the race. There were some scheduling glitches due to the Chinese government military base that was nearby feeling insecure about foreigners on their turf. This led to some course changes two days prior. For me, this only added to the adventure. In obstacle course racing we have a running joke about signing our death waivers. Many of us feel like we’re going through withdrawals if we haven’t signed a death waiver in the last 2 to 4 weeks. Why do we sign these? Because we want to push ourselves. Because the races we run are challenging. Because there are obstacles in our way that may cause harm. But mostly, because we’re there to overcome our obstacles. This course requires you to overcome your obstacles. Granted, in 2016, there were physical obstacles on the course. It was mostly run on Rubble. Loose Rubble. You found yourself dodging rolling rocks at times. There were a couple injuries. There were areas where you had to buckle down a little bit because you felt a little bit uneasy about the safety of the Terrain. But in all, I loved that race. 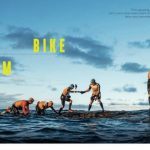 It challenged me more than any race I had done that year and I found that it challenged me more than any race I have done to date. But, it wasn’t the physical obstacles that challenged me. It was the war inside my head telling me to stop, give up, or that I wasn’t capable of completing it. But I was there to overcome that and push through. At about mile 18 I was climbing a steep incline and had a rock roll out from under me and injured my back. With shooting pain down my left leg and weakening me to a point where I could not climb stairs, I managed to push through to about mile 21. But staring up at another 3000ft climb I decided it was my safest option to DNF myself and return to the starting line. So I planned to return in 2017. Training was difficult leading up to the 2017 race due to work demands preventing me from getting much running or training in. However, I felt as ready as I was in 2016. The 2017 race was very well organized with no glitches in transportation to or from the airport or to the race and back. This year we had some big names present including Dion Anderson who completed the Gobi 250 and wrote the book Finding Gobi. This year’s winner was from Ecuador who trained running in the mountains and required 7 hours and 14 minutes to finish this race. Dion was two hours behind him. This is a true Testament to the difficulty and challenge of this course. 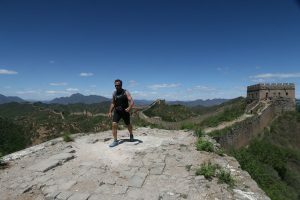 I was told there were a couple guys there that ran the Boston Marathon in under three hours but found that it took them over 9 hours to finish conquer the wall Marathon. There was a 10-hour cutoff to be determined an official finisher. I’m proud to claim a 22 Mile 10 hour and 3 minutes finish. With my second consecutive DNF under my belt, I began to plan my return for 2018. I am pushing hard in my training even now because there is only (yes only) 8 months left to train. I have 39 local trail and obstacle course races scheduled to push myself through in preparation. I will Conquer that wall. I encourage you to take on the challenge as well. There are only 500 slots available. Don’t miss out, this is a bucket list item. You will not be disappointed. The team that puts on the race is phenomenal. They do an excellent job of informing you of all things needed to arrive and get around comfortably. They helped arrange and coordinate all of your housing and transportation. They even can arrange tours and meals if so desired. They are very friendly bunch and even as busy as they are remain willing to take some time out to talk with you and answer questions and alleviate concerns. I’ve run a lot of races and I feel this is one of the best run races that I’ve participated in. Our best to Kevin with the upcoming Year of the Dog race in 2018. 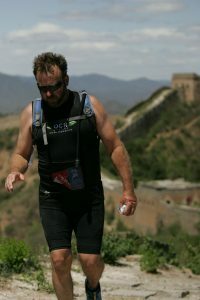 Kevin Blanton during Conquer the Wall Marathon. 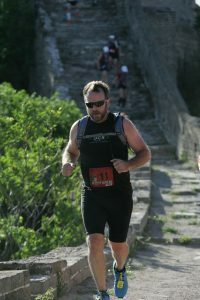 Kevin Blanton running our Conquer the Wall Marathon. Kevin Blanton wide open in Conquer the Wall Marathon.